E & M Combustion, a Spanish Combustion Engineering, deploys an ATEX Burner (ATmosphere EXplosive) in a petroleum plant of the Schlumberger company, located in Al-Jahra, 32 kilometers west of the city of Kuwait. The combustion equipment installed by E & M Combustion is a JBM-HP 2000 G EX, designed for installation in zone 1 – EExd classified area, according to ATEX regulations, and it will operate with fuel oil in a hot water boiler. 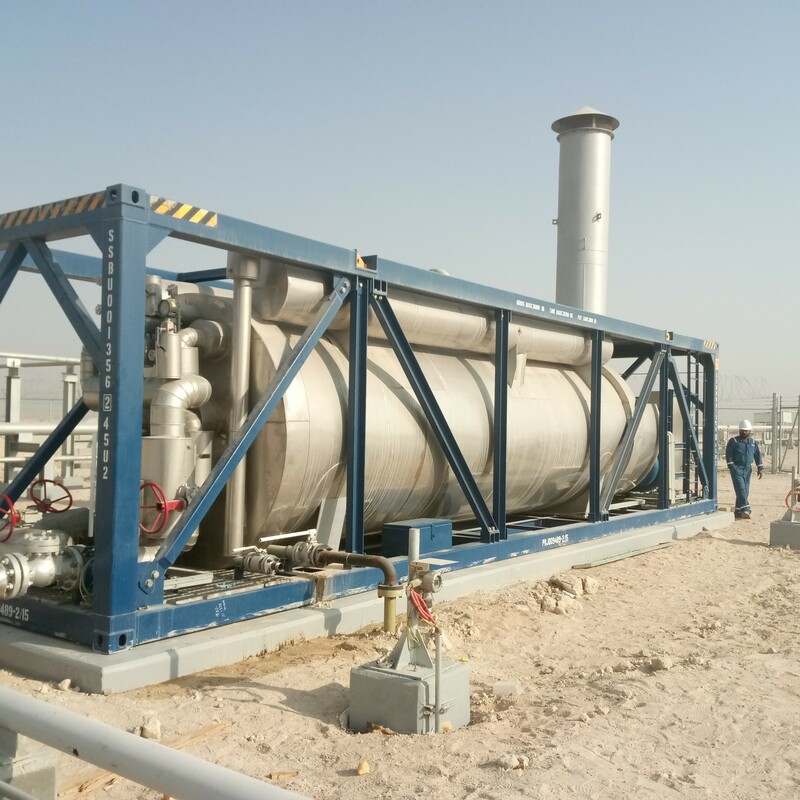 The ATEX burner is installed in a heater. In the initial part of the heater, or primary circuit, hot water circulates at 90 ° C and at the other end of the exchanger circulates the crude oil extracted from the petrol pit. Thus, by means of the process of heating of the crude one obtains an optimal density to be able to transport it until the refinery, through a network of pipes. 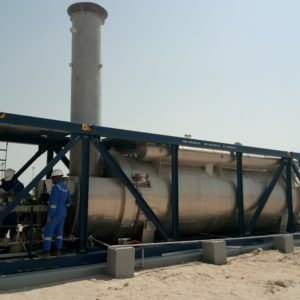 One of the major challenges facing the ATEX burner supplied by E & M Combustion, as well as the rest of the assembled equipment, will be the extreme conditions of operation in the desert, due to the difficulty of high temperatures, which in the summer range at 53ºC, as for the sandstorms. For this reason, in some of these cases of commissioning of the equipment, the work is carried out at night time. 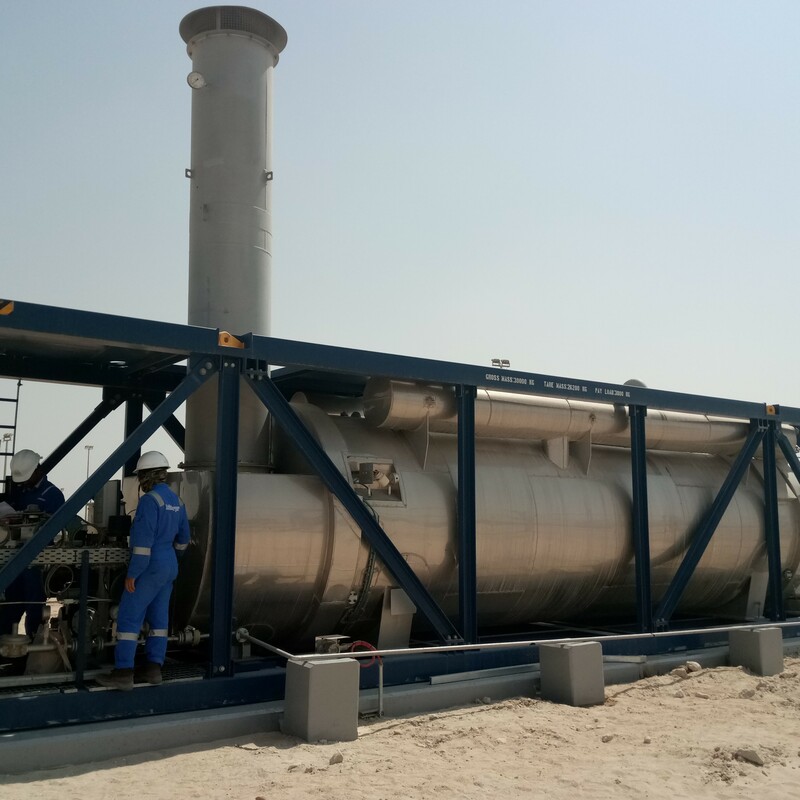 This is the first time that E & M Combustión works in Kuwait, although there are two other projects in this country in future dates to implement their combustion equipment with different customers. Despite the low oil prices in international markets and the lack of international funds, Kuwait has funding to undertake an ambitious five-year plan, which includes various projects in the areas of oil & gas, construction, energy and water. E & M Combustion is one of the leading international designers and manufacturers in the burner segment for areas with anti-explosive classification according to European regulations ATEX and NEC, its American counterpart. This kind of ATEX and NEC burners is in fact obligatory in industries such as refineries, petrochemical plants, power generation plants, etc. E&M Combustión’s specialisation in this type of industrial burners makes us one of the market’s most competitive companies in this sector, with ample experience and an assurance of expertise in arrangements of this nature. 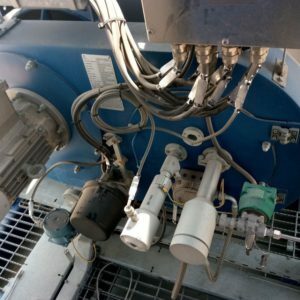 E & M Combustion is a Spanish engineering company created in 2004, specializing in the design and manufacture of industrial burners and combustion generators with strong emphasis on developing innovative technology that adds value for its customers. The equipment has low polluting emissions and adapted to the needs of its customers, thus allowing considerable savings in energy. It operates mainly in the energy, petrochemical, oil and gas sectors and part of the food sector. The company is present with equipment deployed in more than 30 countries and allocates more than 70% of its production to export.